Is your medical treatment negligent? There are many different strains and causes of meningitis. Meningitis B is the most commonly suffered strain. The UK will be the first country in the world to introduce the meningitis B vaccination as part of its routine childhood vaccination programme. It is hoped that the vaccination will significantly reduce the number of cases. However, the risk of meningitis B remains present and people should be vigilant about the symptoms. Medical advice should be sought if you, or a family, have any of the symptoms described in this blog. In the UK, Meningitis B is fatal in 1 in 10 cases and approximately 1 in 4 of those who survive is left with lifelong problems such as amputation, deafness, or a brain injury with various effects such as epilepsy. 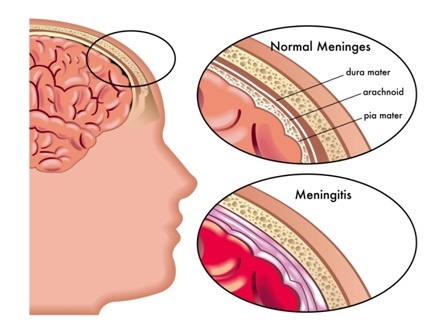 Meningitis B is a type of meningococcus bacteria, which is a major cause of life-threatening meningitis and septicaemia (blood poisoning), and the leading infectious killer of young children in the UK1. There are hundreds of different strains of meningitis B but it is believed that the new vaccine will provide protection against 90% of these2. Meningitis is caused by either a bacterial or viral infection of the protective membranes that surround the brain and spinal cord. The infection causes these membranes, known as meninges, to become inflamed. Meningitis is more common in children but can also affect adults. Meningitis B can be difficult to diagnose as it may come on suddenly and its symptoms are vague. It can be confused with other less serious conditions. It is imperative that medical help is sought as soon as possible on seeing the symptoms, particularly in a young child. It is therefore vital for patients to explain the severity and duration of any symptoms to a medical professional, and for these to be considered carefully. Treatment for meningitis or septicaemia should be started as soon as the condition is suspected. The type of treatment provided will depend on whether the meningitis is bacterial or viral and the severity of the disease. We know that meningitis can have a devastating impact on your life. The effects can cause your life to completely change and you may find it difficult to adjust. If you have been injured because of medical negligence, you have a right to compensation. We are able to help patients who have suffered medical negligence with a legal claim. However how do you know whether your treatment was negligent? You must prove both elements above in order to show negligence. Reports from independent doctors are used in legal claims to provide evidence on this. Due to the non-specific symptoms of meningitis and septicaemia, people often turn to their GP when they first start feeling unwell. It may be that symptoms get misinterpreted for a less serious condition such as flu and are not followed up. If this happens, and meningitis is later diagnosed, it may be that the GP was negligent for failing to investigate further. In claims for meningitis, it can often be tricky to prove that the unacceptable treatment injured the patient. This is because it must be proved that at least some of the patient’s injuries are directly caused by the negligent treatment, and not the meningitis itself. For example, you must show that the outcome would have been different had they been treated sooner or better. When meningitis occurs, the timing of treatment is crucial, and even the slightest delay can have serious consequences. The longer the delay before meningitis is treated, the more advanced the condition becomes. This creates a greater likelihood of terrible complications, including a permanent brain injury. The aim of a legal claim will be financial compensation, to try to put you back in the position you would have been in had the negligence never occurred. Of course, we appreciate that this is not always possible, and we also provide you with access to practical support services, to help you cope both physically and emotionally. At Bolt Burdon Kemp we fight to obtain the compensation you need to move forward with your life, and a support structure to help you cope with daily life. However there are also charitable organisations which can help you and your family come to terms with the consequences of the disease. Meningitis Now is the UK’s largest meningitis charity, offering support, funding research and raising awareness. The charity was instrumental in introducing the meningitis B vaccination as part of the childhood immunisation programme in the UK and they continue to raise awareness of the disease. Their most recent campaign focuses on the need to recognise the symptoms of meningitis and the importance of acting quickly. To contact please follow the link where all contact details and support groups can be found. I am a Partner at Bolt Burdon Kemp specialising in Medical Negligence claims. 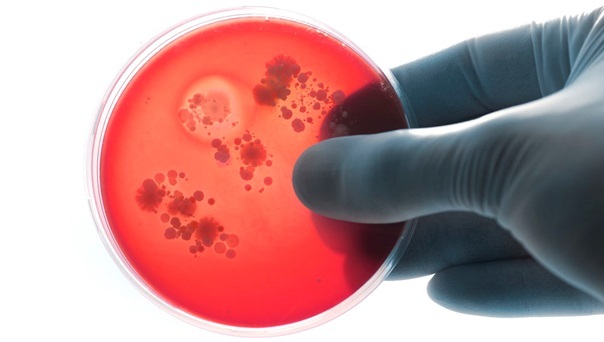 If you or a loved one are concerned about the treatment you have received for meningitis, contact me free of charge and in confidence on 020 7288 4834 or at suzannetrask@boltburdonkemp.co.uk for specialist legal advice. Alternatively, you can complete this form and one of the solicitors in the Medical Negligence team will contact you. You can find out more about the team here.